I finally healed of the Unique iPad Keyboard in the mail today. The packaging is quite ideal. It was wrapped in a bubble wrap envelope and while examining the product, I have never seen any damage in the product due to the shipping and handling. Very nice to see that you have the product with you intact, which is always a big concern to buyers. 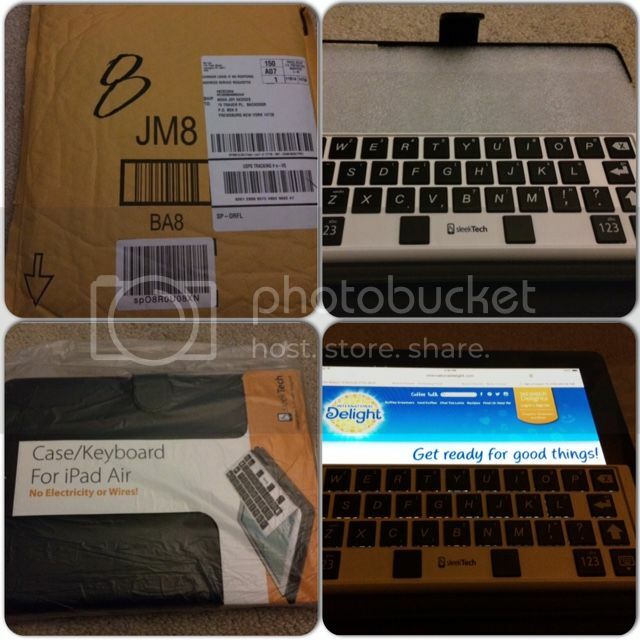 The Keyboard also comes with the nice leather case that would protect your precious iPad device. There is no need of installation nor Bluetooth to sync the keyboard to your iPad. There is no trouble for me to put the case on the iPad at all, very unique indeed and fast. Also secures the iPad from slipping. The back of the keyboard is also safe when you put it right next to your iPad's screen, and it will automatically sync-in as I mentioned earlier. I feel comfortable and makes the typing faster than using the keyboard on the screen. It feels like you are actually using the customary keyboard that we've been using in our computer. It makes things even easier, also this isn't separate with the cover case so you are actually using 2 in 1 accessory for your iPad device. So far so good, I care for the product, would counsel this for those who hold an iPad Air that would like to acquire a nice cover case along with the benefit of an attached keyboard. And it's time for you to win one, Sleektechusa is giving away 1 Unique iPad Keyboard to 1 lucky winner. All you have to do is you must follow the requirements mandatory or not and earn more points to get a high possibility to win. You must be a US Resident and 18+ years old. That is nice. My husband would love that as he hates his ipad touch. the auto sync-in feature is a great + point. would love to have one! nice review and a good ipad keyboard indeed. What if you're not satified with the product you receive. pwede ba palitan ng ibang item? What a nice product! Too bad, our iPad broke down. Good luck to everyone who will join this giveaway! Nice product and hoping to win, mader! !